The older adults were first asked to name their chronic conditions, and then to describe how their caregivers helped them manage those conditions. Researchers also learned about the care recipients’ reactions to the assistance they received. Caregivers were invited to respond to their care recipients’ answers, provide their own examples, and discuss how they felt about the assistance they provided. Agreement about caregiver’s level of involvement. Caregivers were responsive to the care recipient’s desired level of assistance. In visits with healthcare providers, for example, caregivers were mindful of the care recipient’s desire to speak directly to the provider but asked clarifying questions to make sure they understood all the information. Mutual understanding. Care recipients tried to be less demanding of caregivers by being “good patients” and following their treatment regimens. Caregivers acknowledged the challenges these individuals faced in managing their health conditions and in losing physical function. Making decisions together. Care recipients and caregivers worked together to make treatment decisions that were satisfactory to both parties. The caregiver made sure that the individual’s preferences for care were recognized, and the care recipient made sure that the caregiver’s needs were taken into account. Disagreement about caregivers’ level of involvement. Some care recipients felt that their caregivers were too involved. In visits with healthcare providers, the individuals felt that, with their caregivers present, their own voices were not getting heard. Caregivers felt that their involvement was necessary to impart accurate information when the care recipients lacked English-language skills or intentionally withheld information from healthcare providers. Disagreement about one another’s competency to perform disease management tasks. Some care recipients did not trust their caregivers to administer medications, although caregivers felt equipped to perform this task. Caregivers in these situations also were skeptical of care recipients’ abilities to carry out treatment regimens, manage medications, or communicate adequately with healthcare providers, even though care recipients felt able to perform these activities without assistance. Under-appreciation. In “conflict” relationships, care recipients often felt that the caregiver had unrealistic expectations of their abilities to manage their health conditions. Caregivers described their roles as being “the mother of a toddler” or as an “unpaid slave,” stating that the person being cared for did not fully recognize the stress associated with caregiving. Disagreement over decision-making and disease management. Some care recipients and caregivers disagreed over decisions about healthcare, including rehabilitation and the day-to-day management of a care recipient’s health conditions (e.g., diet, exercise, number of blood draws, and the use of assistive devices). This summary is from “Patient and Caregiver Perspectives on Managing Multiple Health Conditions.” It appears online ahead of print in the Journal of the American Geriatrics Society. The study authors are Catherine Riffin, PhD; Peter H. Van Ness, PhD, MPH; Lynne Iannone, MA; and Terri Fried, MD. 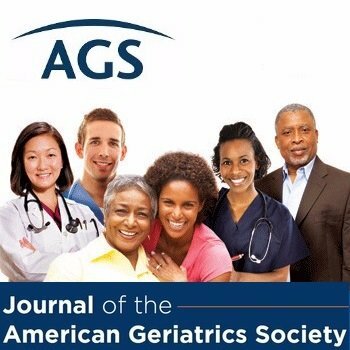 This entry was posted in Health in Aging, JAGS Research Summaries and tagged caregiver, caregiving, multiple chronic conditions by HIA Guest Blog. Bookmark the permalink. THIS IS NICE SUMMARY OF CAREGIVER AND CARE RECIPIENTS perspective on managing multiple health.